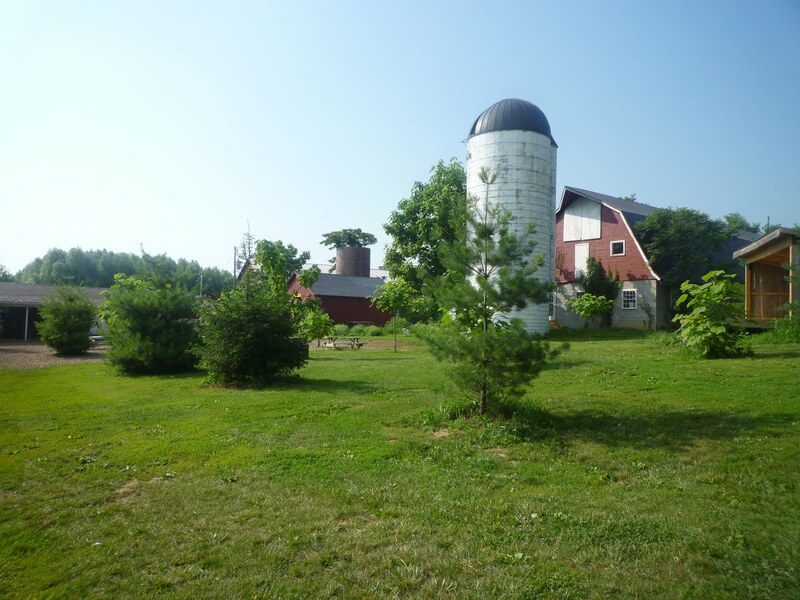 I took advantage of waking up incredibly early this past Saturday and decided to take a trip out to Bluemont, VA and visit Great Country Farms. 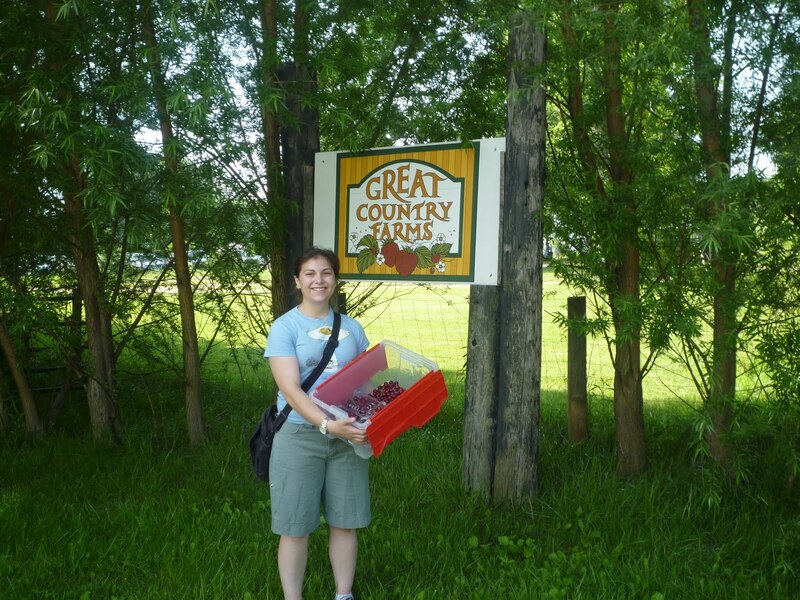 That’s where I’ve purchased a CSA share from this year and their weekly newsletter noted that tart cherries were ripe for picking. 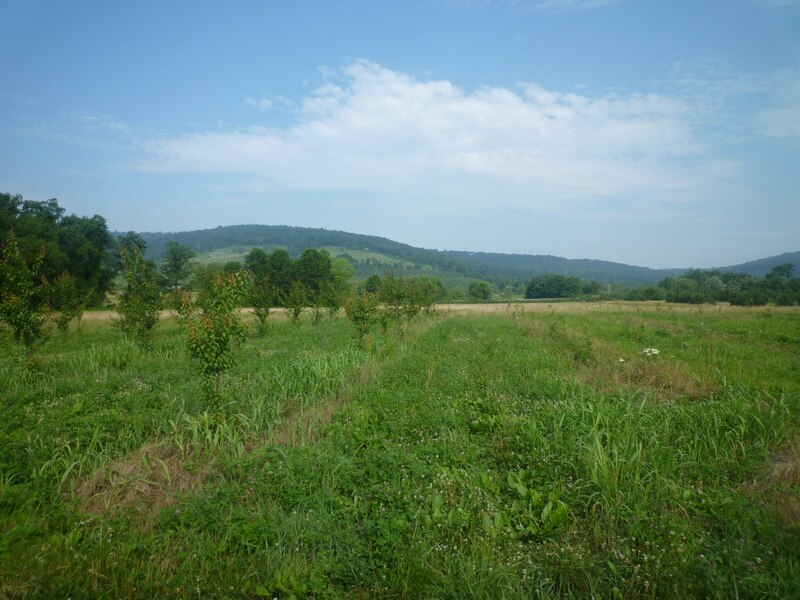 It took about an hour to drive to the farm from Arlington, but it was a peaceful, sunny morning and I spent the next hour or so in cherry trees looking for the chubbiest, dark red specimens. Well, 6lbs. of cherries later I finally decided that I had enough for jam and drying. The trees were so lovely and the landscape was incredibly serene. It was nice to be somewhere so quiet. I whipped up a batch of fabulous tart cherry jam. No-sugar-added jam is actually quite easy to make. 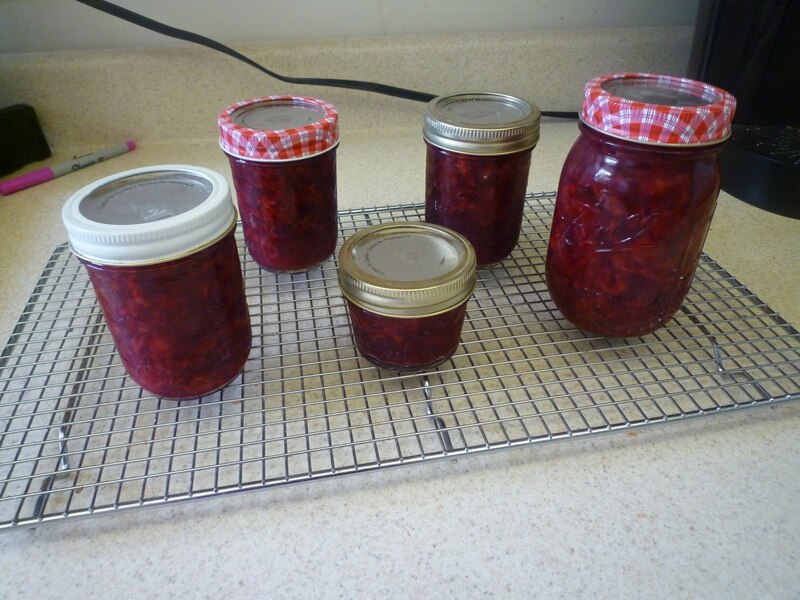 The canning process adds a few extra steps at the end, but the actual method for jam-making is very straightforward. I used 3lbs. 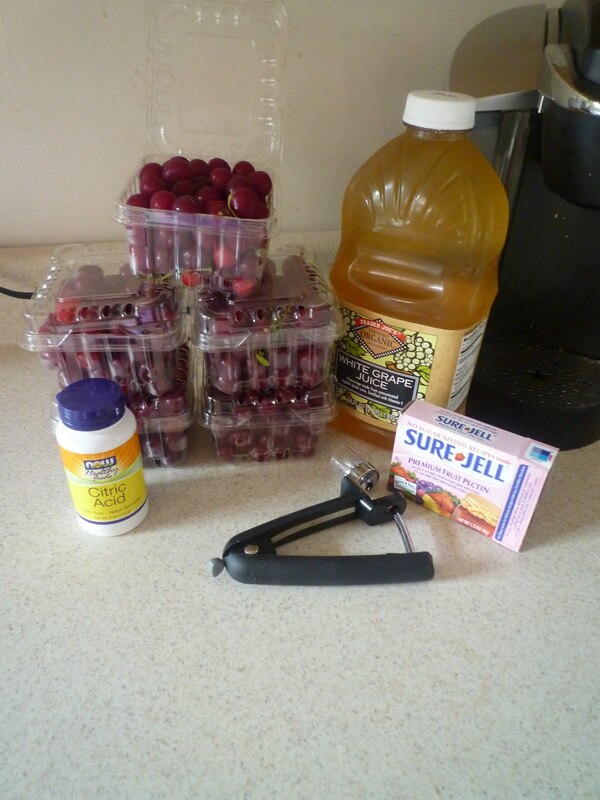 of cherries, 1 1/4 cup of white grape juice, one box of no-sugar/low-sugar pectin, and a 1/2 tsp. of citric acid to preserve the vibrant red color. 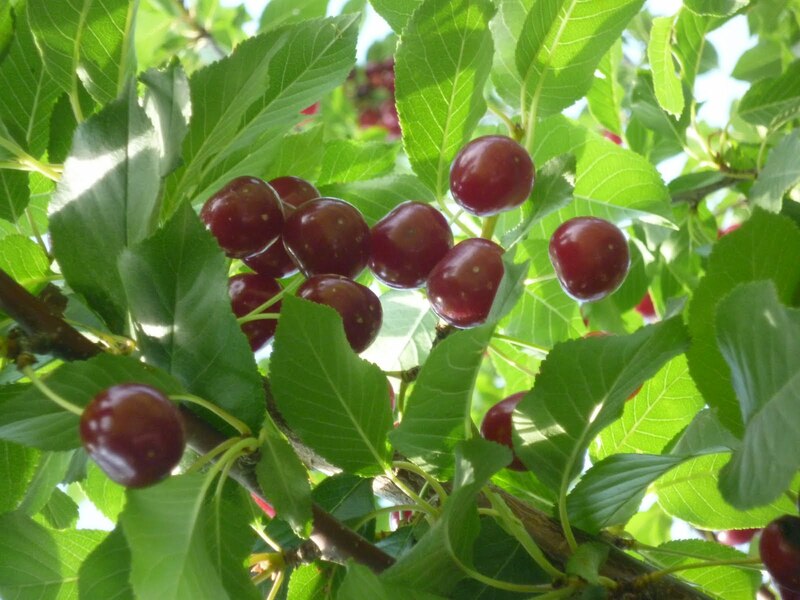 To get started, pit the cherries and put them in a big pot on the stove over high heat. Smash them up with a potato masher, sprinkle in the citric acid (you can also use a squirt of fresh lemon juice) and let it come to a simmer. Whisk the grape juice and pectin together and then add them to the cherries. Let the mixture come to a full, rolling boil (one that does not stop when stirred) and cook for 1 minute. 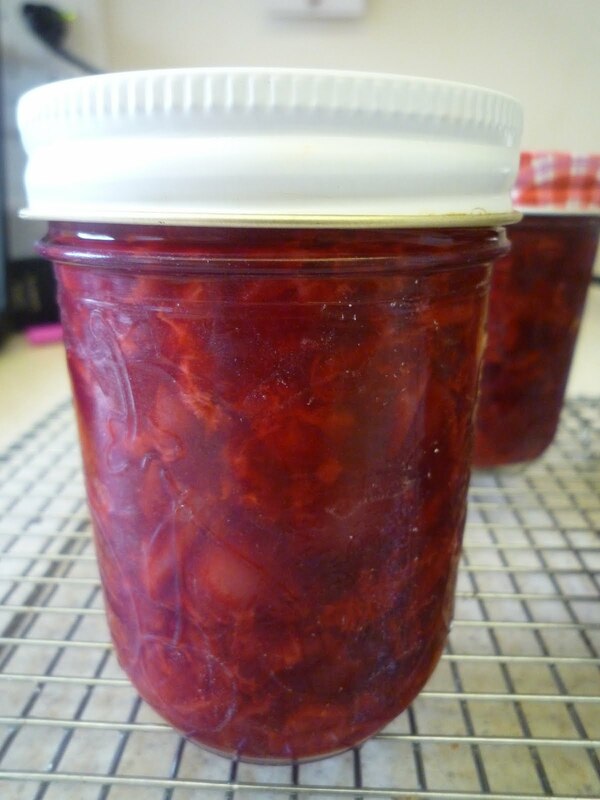 Turn off the heat and skim the foam off of the top of the jam. Let it sit for 5 minutes and then stir before ladling into jars. This short rest period followed by stirring keeps the fruit from floating to the top and separating from the juices. Even though it’s very liquid-y when hot, the jam will set as it cools down. If you’re interested in canning this recipe for long-term storage or gift-giving you will also need a big pot of boiling water, 5 or 6 pint jars with flat lids and rings, and something to lift the jars in and out of the boiling water. Jar grabbers are available online for less than $10. If you have mason jars hanging around, the actual jars and rings are certainly reusable, but it is important to always use brand-new flat lids as the adhesive on them will only form a tight seal once. Sterilize the jars and rings by washing them with hot soapy water or running them through a dishwasher with a heated dry cycle. While you prepare the jam, place the flat lids into a small pan of simmering water to warm up the adhesive. Gently ladle the hot jam into the jars, leaving 1/4 inch headspace at the top. Wipe the edges of the jars with a damp towel, place on the flat lids, and then screw on the rings. 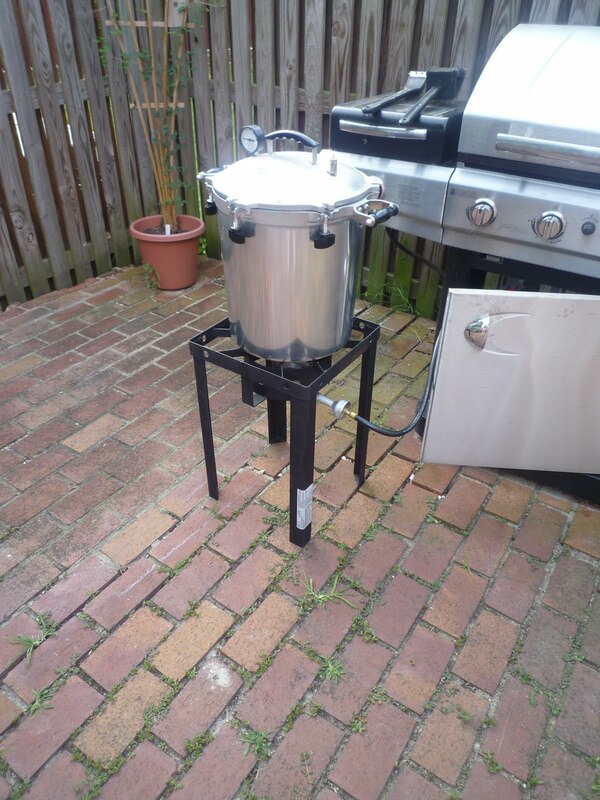 Place the closed jars into the pot of boiling water, making sure that they are completely submerged, and boil for 10 minutes. Carefully remove the hot jars and place them somewhere to cool undisturbed. Over the next several hours, you might hear tiny popping noises–it’s a good thing. It means that the air-tight vacuum has formed and that the jar has properly sealed. After 24 hours, check all of the jars by pressing down on the flat lid gently. If it doesn’t pop back, the jar is safely sealed. Store the jars in a cool, dark place for up to a year. Homemade jam will start to lose its firm set after about 8 months, but is still safe to eat (albeit a bit runny) as long as the jar remains sealed. 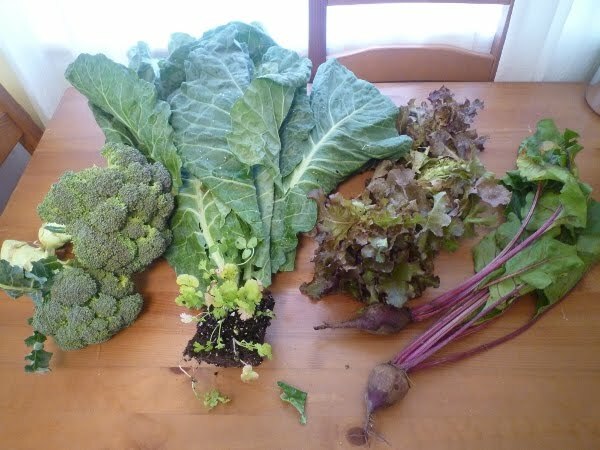 That’s Mystery Food Week 3 and included in the basket this week were collard greens, red leaf lettuce, beets, broccoli (my personal favorite), and cilantro. Cilantro and I don’t get along so well, so that plant will probably be given to a good home. I’m sorry cilantro, it’s not you, it’s me. I’m still thinking up creative ways to use everything, but those collards look destined for my favorite application—sautéed in a bit of bacon fat with a whole lot of garlic and white beans. Food just doesn’t get more comforting than that. Have a great week all!